Everyone is looking for new methods and real techniques to get good ranking and traffic from search engines, and Google is the one of the big search engines who provide better search results in seconds. SEO never dead and alive forever, because search engines are launch new algorithm updates time to time, so the big search engines like a "Google", they have changed their SEO related strategies every other day, after the updates small website or bloggers are don, t like this because they have instant down traffic to our website or blog. After this change many bloggers & webmasters try to search for new methods, tips, on the internet to solve this issue. 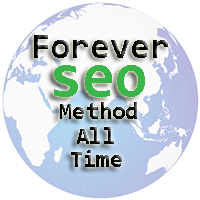 So I am telling you some SEO method all the time or help to you. I always use (white-hat SEO) and this is very important after update "Panda or Penguin" in the year 2012. For easy to know about SEO you also read (on-page & off-page SEO). So let's explain how you do? You must update your content regularly basis and this is the biggest method for good SEO. Search engines always like this, and bots crawling and index your post very fastly. Always write unique, SEO friendly and original content. Also use one image, your post related and add some good keywords to your post. Search engines know that you have updated your post use the (meta tags). If you want to Google crawler faster index your posts, you can do it yourself to using "Fetch As Google" you simply paste the URL or any single post in the tool which will be Google crawled instantly and index in search engine results. Lets see how to use this. How To Make Money Online ...:::: Earn Methods ::::... 2: Now see left side and find >>> Crawl >>> and then click >>> Fetch As Google. 4: Now simply copy and paste your post URL and click "Fetch"
5: after you click on Fetch, you will see (Submit) button simply click on submit. This method is very helpful for new posts to index in Google search, so you can instantly submit your post using this trick. After your On-page SEO such as, meta description, keywords, interlinking, and social media sharing that all is good, but if your not building quality backlinks, then you don, t stable in your traffic on page ranking in Google. Always use the best available resources to create backlinks for your blog/site. Regularly build some good back links to blog commenting. Strong keywords, update your content regularly and backlinks are the initial keys to success in SEO results. Always some search on keywords before starting to write posts. Then you are improving your overall ranking in Google and other search engines.